Donald Trump, in abusing executive powers with the firing of James Comey, has created a cancer on the presidency the likes of which has not been seen since Watergate. While the president can legally fire the FBI Director, firing James Comey in this manner is unprecedented, violating the intent of the law to have an independent director for the FBI. Such independence does not fit in with Donald Trump’s personality. Few, if anyone believe his claim that firing Comey had anything to do with how he handled the investigation of Hillary Clinton. Trump is believed to have been waiting for a reason to fire Comey, between Comey contradicting Trump’s claim that Barack Obama had ordered a wiretap on him, and his investigation of the relationship between members of his staff and Russia. Partisan differences should be put aside in defending the principle of an independent Director of the FBI. It would have been an abuse of powers if Hillary Clinton had been elected and fired Comey, and it is an abuse of powers that Donald Trump has now done so. The obvious comparisons to Richard Nixon firing Archibald Cox , which were previously raised when Trump fired Acting Attorney General Sally Yates for defying him on his unconstitutional immigration ban, have been raised again. A politicized FBI is the last thing we need as we struggle through the maze of lies, concealment and ever-deepening mysteries. 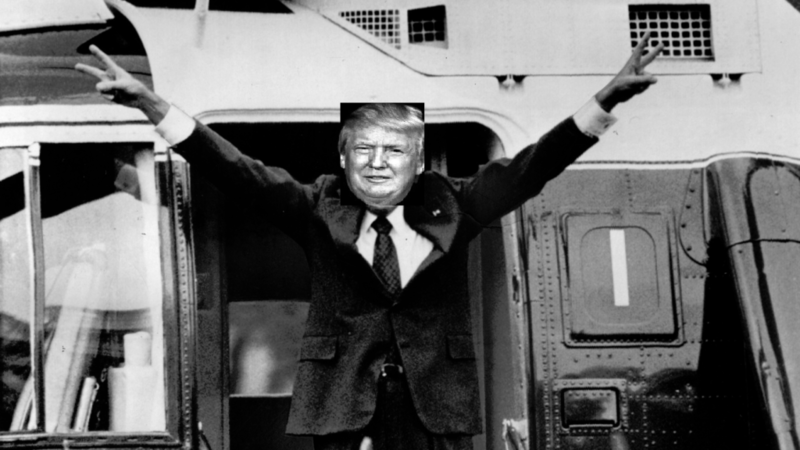 The last time a President fired prosecutors who were investigating him was Richard Nixon during the widespread criminal conspiracy known for short as “Watergate.” We all know how that turned out. In real ways, this potential scandal and coverup are much graver. We are talking about the very security of the United States and the sanctity of our republic. I, and many others, felt a special prosecutor was necessary even before yesterday, not trusting the independence of any investigation from the Trump Justice Department. James Comey, regardless of what one thinks of him, was independent and nonpartisan, and may have been our last shot of a fair investigation. Of course Congress should also continue their investigations, but in a situation such as this we cannot risk political distractions in Congress, and the subpoena power of a Special Prosecutor is necessary. It amounts to a premeditated and terrifying attack on the American system of government. Quite possibly, it will usher in a constitutional crisis. Even if it doesn’t, it represents the most unnerving turn yet in what is a uniquely unnerving Presidency. We do no know the degree to which firing Comey was motivated solely by intolerance of any review of his actions, as opposed to a desire to cover up the actions of himself or associates. Firing Comey when he was not only leading the Russia inquiry involving members of the Trump administration but requesting increased funding does create a strong presumption of guilt. While there is currently no evidence of any collusion between Donald Trump himself and Russians who allegedly tampered with the presidential election, the behavior of members of his staff do suggest that they, if not Trump himself, do have something to hide. Trump’s decision to fire Comey is very likely to backfire against him, increasing questions regarding what Trump knew about the actions of his staffers. The immediate effect on the investigation is unknown, even to those within the FBI, but this is not likely to go away. As John Harwood wrote, Trump’s firing of Comey endangers his entire presidency. Such an abuse of power could ultimately lead to impeachment if Trump is found to have been acting to obstruct justice by firing James Comey. Posted in Barack Obama, Donald Trump, Hillary Clinton, Richard Nixon, Scandals. Tags: Dan Rather, Donald Trump, Hillary Clinton, Immigration, James Comey, Richard Nixon, Russia, Scandals, Watergate. RSS feed for comments on this post.. TrackBack URL. I come here for stories about Hillary and her legendarily awful campaign and confirmation that she and she alone was responsible for blowing an insurmountable lead over the Republicans – and you feed me this tripe? If you want more on Hillary’s botched campaign, I have more sections of Shattered bookmarked and will be posting them in the future. This is a bigger story today. This blog covers a variety of dishonest right wing politicians, not only Hillary Clinton. Donald Trump's dismissal of Comey is a legal exercise of Presidential power. Comey is (or was) head of the FBI which is an office in the executive branch of government. The President can hire as he will with the approval of the Senate and he can dismiss whom he will as he sees fit. Nothing unconstitutional has occurred here. Saying it is not constitutional is a ridiculous defense, comparable to partisan Democrats defending Clinton by saying she wasn’t indicted. The point isn’t whether it is unconstitutional. It was an unprecedented act and an unethical abuse of presidential powers, and could be grounds for impeachment. It takes quite a strong degree of placing partisanship over principle to not see anything wrong with a president firing the FBI director, which is supposed to be a nonpartisan position, because he is investigating his administration, and has contradicted bogus claims he has made (re Obama wiretapping him).